Light weight, no penetration. Has a high barrier properties, shading good performance, safety and health, easy to carry, non-toxic, tasteless. thickness without error, the surface with less oil, no holes, high mechanical properties. The thickness of aluminum foil without error, precision specifications. Aluminum foil surface without bright spots. Aluminum foil surface is good, gloss evenly. The thickness of aluminum foil without error, precision specifications. Aluminum foil surface without bright spots. Aluminum foil surface is good, gloss evenly. 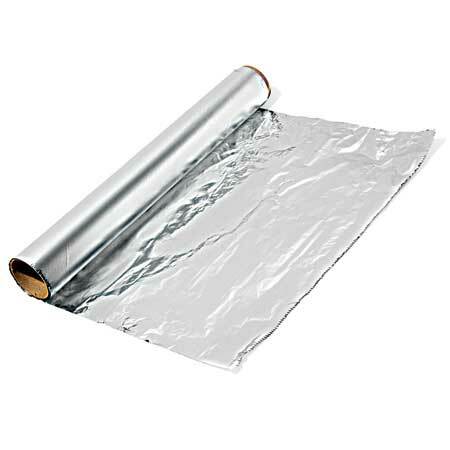 Most Aluminium Household Foil are used to having aluminium foil in the home. It has become an essential part of modern household convenience – for cooking, reducing cleaning chores in the kitchen and for its many uses around the home, garden or workshop. In commercial kitchens too – restaurants, canteens, schools and hospitals, etc. Aluminium foil’s total barrier to light, steam, aromas and liquids is a major reason for its use in the kitchen. The same properties can be used to stop evaporation and drying of paint, adhesives and fillers used in home decoration. Also it can deal with the highest temperatures encountered in cooking, whether in a convection oven or under the hottest grill. Another great advantage when used in the kitchen is the ‘deadfold’ characteristic of aluminium foil. Once folded around a joint of meat, or crimped onto the top of a casserole or storage pot, the aluminium foil stays folded and does not spring back. ← 5052 Aluminum Alloy For Marine, What Features Does It Have ?